We at iSweep understand that having your chimney swept is one of those home maintenance tasks it is easy to put off, because until you experience problems with your chimney or flue, you just don’t think of it! You may also defer having your chimney swept or flue cleaned out because you fear this will be a messy and expensive operation. Householders should consider, however, that neglecting to keep your chimney clean because of the cost is, in effect, neglecting your own safety and that of your loved ones. 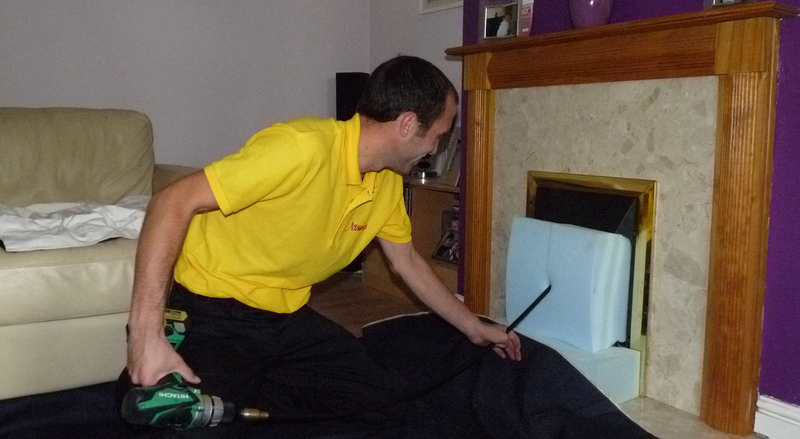 It is worth paying the fee for a professional chimney sweep, rather than risk carbon monoxide leaks or chimney fires! iSweep are happy to survey your chimney to assess what needs to be done, and give you a no-obligation quote for the work. If you choose to compare our rates with those of other chimney sweeps in the Wilshire, Hampshire and Dorset areas where we operate, you will be pleasantly surprised at the reasonable cost of our chimney sweeping services. We prefer to assess the cost of each chimney cleaning job on its merits, because there are variable factors involved in our pricing. Before and after a job we use CCTV to survey the chimney and determine things like the extent of the soot and creosote build-up, any damage to the lining, brickwork or chimney pots, any blockages to be removed (such as bird’s nests), the difficulty of access, and so on. Generally though, the average price for cleaning a single-flue chimney in an average home would cost around £45.00. This price may vary depending on the factors mentioned above, all of which will be fully discussed with you when iSweep gives a quotation for their chimney sweeping services. In addition to a super-efficient chimney clean, using the latest Rodtech power chimney sweeping equipment, the fee you pay to have your chimney swept will include a CCTV survey and the issuing of a service certificate for insurance purposes to verify that the chimney has been cleaned. iSweep are also able to undertake chimney repairs and the installation or replacement of cowls and chimney pots at very reasonable rates. Again, it is difficult to put a fixed price on the fitting of cowls, pots or repairs to the chimney stack because each job is unique. The iSweep team do their best to do such work without the need for scaffolding, but on tall or steep roofs it may not be safe or feasible to reach the chimney by ladder, and scaffolding will have to be erected, the cost factored in to the price. Whatever your chimney requires, whether it be straight-forward cleaning with a power brush or additional repairs and maintenance, iSweep will do the job at the lowest cost possible. We pride ourselves on working as tidily and cleanly as possible, our fee inclusive of covering furniture and flooring around the fireplace. The valuable advice the friendly iSweep experts can give you comes free, as does a quote, so don’t delay in contacting iSweep for chimney maintenance as soon as possible. You can’t afford not to!